The human auditory system is responsible for the processing of sound. It is the system used for the sense of hearing. As sound is picked up by the ear, it is relayed to the primary auditory cortex which is a region of the brain that process sound and helps us to hear. The brain has two hemispheres, the left hemisphere and the right hemisphere, which are responsible for specific motor, cognitive, and organ functions. Researchers at Georgetown University Medical Center say that both hemispheres of the brain are responsible for specific processing of sound. "Language is processed mainly in the left hemisphere, and some have suggested that this is because the left hemisphere specializes in analyzing very rapidly changing sounds," says the study's senior investigator, Peter E. Turkeltaub, M.D., Ph.D., a neurologist in the Center for Brain Plasticity and Recovery. Turkeltaub conducted an experiment with 24 volunteers, where they would raise their right or left hand whenever they heard sounds that are either rapidly changing or slowly changing in the background. By asking the volunteers to raise their right hand for the first 20 times they hear a sound then raising their left hand the next 20 seconds when a sound is heard. They alternated which hands to raise and checked the results. What they found was that when the right hand was used to respond to the sound, the subjects heard the rapid sounds more often than the slow sounds. When the left hand is used, they saw an opposite effect, the subjects heard slow changing sounds more than fast changing ones. This led them to conclude that the two hemispheres specialize in different kinds of sounds. Since the right hand is controlled by the left hemisphere, the left hemisphere is more sensitive to rapidly changing sounds, such as consonants, and the right hemisphere which controls the left hand is attuned to slowly changing sounds, such as syllables or intonation. This discovery can be useful in developing treatments for language related disorders such as dyslexia and aphasia. "If we can understand the basic brain organization for audition, this might ultimately lead to new treatments for people who have speech recognition problems due to stroke or other brain injury. Understanding better the specific roles of the two hemispheres in auditory processing will be a big step in that direction. If we find that people with aphasia, who typically have injuries to the left hemisphere, have difficulty recognizing speech because of problems with low-level auditory perception of rapidly changing sounds, maybe training the specific auditory processing deficits will improve their ability to recognize speech," Turkeltaub concludes. The study was presented at Neuroscience 2012, the annual meeting of the Society for Neuroscience. 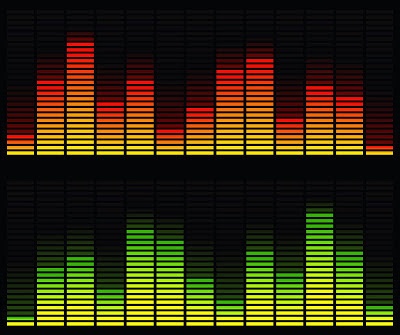 Although previous experiments has hinted at the processing differences of sound, this is the first to match human behavior with left brain/right brain auditory processing tasks.